A Mesopotamian Night, the third annual evening of Assyrian culture and music presented by the Central Valley Chapter of the Assyrian Aid Society of America, has received a supporting grant from The James Irvine Foundation. "We are honored to have such a prestigious organization recognize the value of the work we have been doing with the Mesopotamian Night series in Modesto," said Chapter President Tony Khoshaba. "This gives us even greater incentive for this year's event and beyond." A Mesopotamian Night will take place on Saturday, August 15, 2009 at the Gallo Center for the Arts in Modesto, California. The James Irvine Foundation is a private, nonprofit grantmaking foundation dedicated to expanding opportunity for the people of California to participate in a vibrant, successful and inclusive society. The Foundation's grantmaking is organized around three program areas: Arts, Youth and California Perspectives, which focuses on improving decision making on significant state issues. Since 1937 the Foundation has provided over $1 billion in grants to more than 3,000 nonprofit organizations throughout California. With current assets of over $1.4 billion, the Foundation expects to make grants of $80 million in 2009 for the people of California. The Assyrian Aid Society of America is a charitable 501(c)(3) nonprofit organization building schools, providing war refugee relief, staffing and supplying medical clinics, rebuilding homes, irrigating farmlands, bringing electricity to remote villages, facilitating life-saving surgeries, and implementing a host of other vital programs and services since 1991. The following calligraphy piece titled "Oomtan U Eitootan Atoor" (Our nation and our existence Assyria) is a new arrival by pastor Samuel Khangaldy for auction at Mesopotamian Night 2009. Our art collection for this year is growing and we are proud to bring to you these beautiful art works. "In the summer of 2007, I was asked by a family member to design a poster about 'Shlama', peace. Inspired with the word’s typographic beauty, patterned motifs of ancient Assyrian symbols, and my surroundings at the time, fresh cut grass, bright lush colors of a New England garden, and children’s laughter, I entered my creative zone. Three weeks later 'Shlama': Assyrian Peace was completed. 'Shlama' is a greeting, hello! 'Shlama' is quiet, shhh. 'Shlama' does not need to be heavy or serious, perhaps it can be fun, playful and celebratory! 'Shlama' is for everyone, especially for children as they play. 'Shlama' is for young adults and adults as they grow and mature. 'Shlama' is the simplicity behind the complexity of democracy. 'Shlama' is Assyrian peace!" Sharokin Betgevargiz, principle graphic designer of www.amnadesign.com and Professor at SCAD’s Graphic Design Department, is a MFA graduate of Boston University’s College of Fine Arts. Courses taught at SCAD include “Interactive Web Animation", “Digital Page and Web Graphics”, “Typography” and she specializes in “History of Graphic Design”. Her key achievements include the management of the Savannah Succession web team, a presentation at "War Stories" lecture series, and the selection of her political posters for use in a graduate online class. This coming fall she will be presenting and exhibiting her work at Southeastern College Art Conference SECAC. In February 2006, She was nominated to exhibit “Form Follows Function: A Design of an Assyrian Identity” at College Art Association’s MFA Exhibition which culminated in her thesis show. Prints from this body of work were most recently exhibited at SCAD’s Graphic Design Faculty Exhibition, several juried art shows and she held her first solo show in Spring 2008. Using modern Assyrian letterforms and ancient Assyrian patterns, she weaves a variegated and multilayered visual repetition. Utilizing historic and contemporary photos and text, specific aspects of a fragile but resilient identity are examined spanning from ancient Mesopotamia to current day Iraq. Assyrian and non-Assyrian viewers can share in a profound and familiar experience; the development of an identity through language, form and culture. 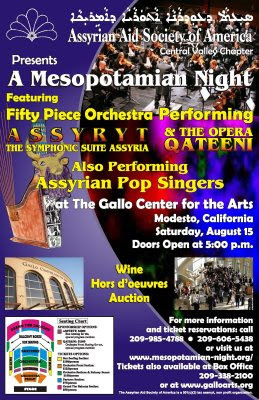 The Assyrian Aid Society of America (AAS-) Central Valley Chapter will present the third annual Mesopotamian Night concert on Saturday, August 15 in the Rogers Theater at the Gallo Center for the Arts in Modesto, California. The concert is part of AAS-A’s continuing effort to promote Assyrian music, arts, and culture throughout the world. It also serves as a major fundraising event in support of AAS-A’s education projects in what is known as Assyria, the ancient Assyrian homeland, located in present-day northern Iraq. Assyrian symphonic, opera, folk, and popular music will highlight an evening of exciting and unforgettable entertainment. John Kendall Bailey will conduct the Gottschalk Music Center Orchestra, directed by Ernie Bucio. Assyrian writer and classical music radio personality Obelit Yadgar will be Master of Ceremonies. Assyryt Suite, by the renowned French composer Michel Bosc, will open and close the classical portion of this year’s Mesopotamian Night concert. Assyryt, performed in two separate suites for this program, is an orchestral arrangement of 20 piano pieces by the noted Assyrian composer, the late Paulus Khofri. Like last year, the Mesopotamian Night gala again presents selections from another Assyrian opera—sung in Assyrian. The Overture and the Malik Toma Castle scene from Act One of the opera Qateeni Gabara by Michel Bosc is set to selected stories from the Assyrian folk epic of the same title by the late William Daniel. Well-known singers from the San Francisco Bay Area will perform. The Mesopotamian Singers Group, a newly formed ensemble specializing in Assyrian music, will perform songs by Paulus Khofri and Nebu Issabey. Assyrian soprano Lorraine Davis adds her lovely voice to the concert in songs by William Daniel. The overture from the oratorio Gilgamesh will create excitement for a new work in progress by Pastor Samuel Khangaldy. Soloists and the orchestra will also turn to the opera Gilgamesh, also a work in progress by John Craton, for the Duet of Gilgamesh and Enkidu. Assyrian recording stars Lida Lawando and Emanuel Bet Yonan, along with Gottschalk Music Center Orchestra, are sure to rock the hall in the second half with a string of Assyrian popular and traditional songs. In the Mesopotamian Night gala tradition, the live auction offers an impressive gallery of art works this year donated by Assyrian artists Issa Benyamin, Alexander Bakuniance, Paul Batou, Juliet Moradian, Sharokin Betgevargiz, and Samuel Khangaldy. 2009 Honorary Committee members include program sponsors Dr. Edison Ishaya, Dr. Eden Naby, Dr. Ebby Paul Jido, and Dr. John Michael, as well as Assyrian writer Fred Aprim. This year AAS-A will recognize artistic and cultural icons Rabi Issa Benyamin and Rabi Daniel Benyamin for their contributions to Assyrian arts and literature with its first annual Mesopotamian Achievement Award. Enjoy wine and hors d’oeuvre prior to the performance and at intermission. Ticket reservation forms are available online at www.mesopotamian-night.org, at www.galloarts.org, and at the Gallo Center box office. For more information call AAS-A at 209-606-5438. Proceeds from the performance and auction benefit AAS-A humanitarian, medical, and education projects in the Homeland. The Mesopotamian Night 2009 concert is supported by a grant from The James Irvine Foundation. The Assyrian Aid Society of America is a charitable 501(c)(3) non profit organization dedicated to assisting needy Assyrian/Chaldean/Syriacs in northern Iraq and around the world. Since 1991 AAS-A has raised nearly $8 million in donations and grants to build schools, staff and supply medical clinics, facilitate life-saving surgeries, rebuild homes, irrigate farmlands, bring electricity to rural villages and implement a host of other vital programs and services. The Mesopotamian Night project has become a hub not only for Assyrian musicians but also the Assyrian painters and calligraphists to showcase their work to our community. The Mesopotamian Night project has inspired some of these artists to show their interpretation of this project. Juliet Moradian has been a loyal contributor to Mesopotamian Night arts auction. This year she is presenting a painting on Gilgamesh celebrating the creation of the first opera in Assyrian: Gilgamesh. The painting is called “The First Epic”. Painted in May 2009, it is a 30 x 48 Gallery wrap oil on canvas. The minimum bid for this piece is $700 (email us at aasacvcc@gmail.com). Juliet Moradian was born in Tehran, Iran, immigrated to America with her family in 1963, and settled in Yonkers, New York. In sixth grade it was discovered that she had a natural talent for the arts. She returned to Iran to attend the Art High School in Tehran, but was never fully content there. She needed to explore new horizons and see more of the world. In a trip back to New York she took courses at the Art Student’s league and visited galleries; she wanted to soak up the culture of the city. Later she took courses at the French Beaux art in Paris and additional courses in fashion design in London. Finally she attended the Academy of Arts at the University of Tehran where she absorbed the quintessence of Persian culture and art that was being taught along with the modern art of Europe. She identifies her artwork and her art teachings as a follower of the Bauhaus school. A School founded in 1919 in the small town Weimar, Germany. The School was founded as an Architecture school but later it developed itself into the most profound school of Arts ever and was being taught almost in all academies of fine arts throughout the world. One of the most important manifest of this school was to bring all the fine arts under one roof and teach them or learn them as a package for they are all connected and have more substances in common than conflicts. Juliet counts on many avid collectors of her art. But because of her passion for her people her professional goal is to be successful with her own community as well. To this end she moved to California in 1998. Since then she has tried with various degrees of success to bring art to the Assyrian community and to bring the Assyrian community to art, by teaching art, exhibiting art within the community, and developed paintings with Assyrian motifs. Therefore it has been an honor for her and a privilege to be invited by the Assyrian Aid Society to provide a painting with an Assyrian motif. And there is no greater motif than the epic poems of Gilgamesh. “Art without social, political, or philosophical motif is just an expensive craft,” she says. In Gilgamesh the philosophical motif is how God Shamash couldn’t tolerate the brutal ways of the man Gilgamesh and forces him to surrender to Godlike behavior and nobility. “Art is my profession and my profession is my life; what I paint becomes a drop of my life. “ and that is beautiful. Lorraine Davis this year is joining us to perform two solo songs of William Daniel (String Wheel and Maiden of Dreams). 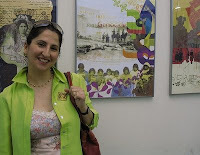 She will also perform in "Mesopotamian Singers Group" a newly formed choir group in San Jose. This group will perform two songs ("Nation Sacrifices" and "Vacant Nineveh") by Rabi Paulus Khofri as well as the song "Nation" by Rabi Nebu Issabey. All these five songs are arranged for full orchestra by John Craton. Last year Lorraine performance of William Daniel songs as well as her role as Ishtar in Gilgamesh opera scene was a hit among our audience. We look forward to seeing her performance this year as well. Lorraine Davis was born in Tehran, Iran and graduated as an architect with an M.A. from the Faculty of Fine Arts at the University of Tehran. While at university, she took private singing lessons and performed at the Cultural Youth Institute of Tehran singing different songs from Mozart, Puccini, Schubert and Brahms. Lorraine also studied in London and earned an M.A. in Health Facility Planning. After returning to Tehran, she gave two concerts in Tehran singing songs of William Daniel, the Assyrian author, thinker, composer and poet. She also gave another concert of classical music with late Carmen Osorio at piano. In 1994 she performed twice in San Jose and Turlock. In 2001 she gave an interview to Suroyo T.V. (Bahro Productions) while introducing William Daniel through singing songs. She took part in the gathering of the European Assyrians in Cologne, where again she became the “Braqala” of William Daniel. In Tehran she helped many young Assyrians to improve their singing abilities by giving lessons at home. Lorraine now resides in San Jose and she prepares herself for future performances. Alexander Bakuniance an Assyrian artist based in Sacramento, California contributed the following painting to our MN-2009 live arts auction. This piece is called "Pleading" (Jesus pleading to God). Alexander started strawing at the age of five and since then, art became an important part of his life. Each of his artwork is a reflection of his feelings, vision, character and belief system. Inspired beyond merely everyday objects, his work magnifies his inner core, values, personal memories and social influences that have touched his heart. The subject are tenderly brought to life in a most provocative light to stir an emotion in the heart and mind of the viewer. 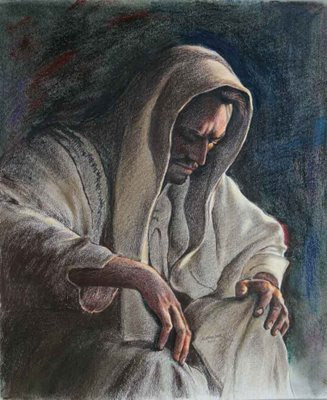 He hopes his artwork would invigorate renewed sense of humanity among people – once he said “I feel responsible when my art enters a house – and I hope the same feeling would be imparted, unto its beholder, towards the subjects of my paintings.” Alexander credits the Lord for his ability and inspiration to create arts. 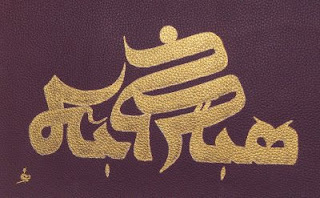 Khofri published his music collectively in numerous books. Assyryt (“Assyrian Diamond”), composed in 1984 in Book No. 3 of his musical catalogue, is a large collection of Assyrian folk pieces for piano solo. The renowned French composer Michel Bosc, commissioned by the Assyrian Aid Society of America to orchestrate Assyryt for this year’s Mesopotamian Night Gala Concert, chose 20 pieces from this collection to orchestrate into a suite. For this program, Assyryt will be presented in two suites of 10 pieces each and performed by the Gottschalk Music Orchestra, conducted by John Kendall Bailey. Since Khofri was conservatory-trained — he studied in America with Paul Hindemith, Arnold Schoenberg and Walter Piston, three major 20th century composers — his music not only breathes a purely Assyrian folk sound, but sometimes it also lets the Assyrian in the composer soar in the Western classical music tradition. Before starting his orchestration of Assyryt, Bosc listened to as much of Khofri’s music he could to get a sense of the composer’s orchestral style. He read the original piano score over and over again, and played it, until he felt as if he had composed the music himself. Although the music was clear, light, easy to play, and intimate, Bosc explains that he found orchestrating it a challenge nevertheless. What makes Assyryt Suite especially enticing is the French baroque sheen, notably that of Jean Phillippe Rameau (1683-1764), that Bosc brushes over the Assyrian folkloric spirit of Paulus Khofri. This is extraordinary, and befitting the classical tone of the 2009 Mesopotamian Night Gala. It has become a tradition of Mesopotamian Night event to offer the art works of distinguished Assyrian artists in live auction. Here we are introducing the Assyrian artists participating in MN-2009 event. 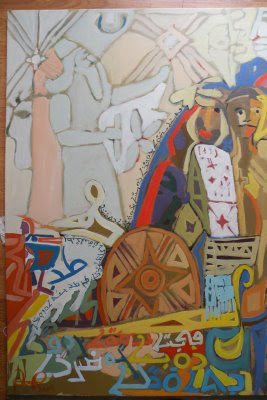 Paul Batou last year offered us a painting called "Dance in Mesopotamia". This year he was inspired by our Qateeni Opera project and has offered us his interpretation of the Epic of Qateeni Gabbara. The painting below is called "The Epic of Qateeni". I am a native Iraqi artist . A 1982 pharmaceutical graduate of the university of Baghdad , But my most enduring interest remained the world of art . I did not bother to apply for the art school in Baghdad because the school was closed to the baathist party members only “the government “ . While in pharmacy school I was inspired by many teachers and artists. My first art show in Baghdad was in 1980 , opening a door that would lead my work to be featured in several galleries , later in 1982 I was forced to work as a pharmacist and a medic during the Iran-Iraq war for five years in the army , when it ended in 1989 , I left Iraq with my family and moved from Athens to Los Angeles. Here in the United States I continue to create art and write poems and recently I published my first book in 2007 “My last thoughts about Iraq” which I shared the Iraqi’s thinking and thoughts during the long years of war , sanction the fall of the great civilization of Mesopotamia . I am one artist among many. I am Sumerian when I read the Epic of Gilgamesh, I am Chaldean and Babylonian when I look at the Gate of Ishtar, I am Assyrian when I think of Nineveh and listen to Evin Agassi and Ashur Bet Sargis, I am Syriac when remembering the stories of genocide, and I am a Catholic or Orthodox when I read Jesus’ teachings of love. My colors are united in one art piece reflecting the tone of the Earth, the language of the universe, the cry and pain of the oppressed people. On my canvas, the black, red and white are in harmony just like my soul. I would love my people to achieve that kind of unity. The Gottschalk Music Orchestra will be performing the music for both classical and pop sections of the Mesopotamian Night 2009 concert. The director of this orchestra is Ernie Bucio. The Gottschalk Music Orchestra is a group of professional musicians from the area symphonies that performs for different events, functions, and concerts. The group has performed with the Dallas Brass, Arturo Sandoval, Bill Watrous, the Inkspots and many others. The orchestra plays classical literature as well as pops and jazz programs. The versatility of the group has earned it the reputation of being a flexible ensemble ready for any assignment. It has performed at the historic State Theatre and the Gallo Center for the Arts. The group is made up of the usual complement of strings, woodwinds, brass and percussion sections and can also include a rhythm section and a big band saxophone section. The Gottschalk Music Orchestra plays concerts throughout the year at various venues throughout the valley. Ernie Bucio has been performing music in the valley for over 35 years. His Little Big Band and Brass ensembles have played at the area's most prestigious events. He is the conductor and music director of the Gottschalk Music Concert Band and Orchestra. His musicians have backed up artists as diverse as Maynard Ferguson, the Temptations, Little Anthony and the Imperials, Pete Escovedo, Arturo Sandoval, Bob Newhart, Rich Little, Myron Floren, Carol Channing, Ashur Betsargis, Walter Aziz, and Bob Hope. Through Gottschalk Music Center and with Hanibal and Evin Yadegar of the Barkin' Dog Grill, he helped put on the first annual 11th Street Jazz Festival this year and put together the Legends of Jazz concert with Plas Johnson of the Pink Panther fame, Bill Watrous, formerly with Duke Ellington and Merv Griffin Show, Bobby Shew formerly with Buddy Rich and Woody Herman and Mic Gillette of Tower of Power with his big band backing them up. His big band and concert orchestra recently performed in New Orleans for the French Quarter Festival and played in the prestigious Palm Court Jazz Cafe. His Gottschalk Concert Band recently performed at the Golden Gate Park Bandshell in San Francisco. 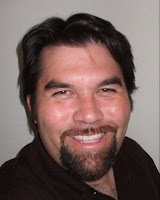 Bucio teaches at the Gottshalk Studios and works for Gottschalk Music Center. John Bischoff will sing in "Malik Tooma" role in the opera Qateeni. He says "I'm very much looking forward to being part of this project". 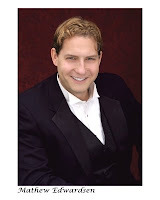 John Bischoff, bass, sings frequently with opera companies and choral groups throughout California. His roles have included Daland in Der fliegende Holländer with West Bay Opera, Zuniga in Carmen and Bartolo in Le Nozze di Figaro both with Pacific Repertory Opera, Snug in A Midsummer Night’s Dream with Festival Opera, and the Sacristan in Tosca and Friar Lawrence in Romeo and Juliet both with Berkeley Opera. This season John returns to Berkeley Opera to sing the role of William Jennings Bryan in The Ballad of Baby Doe. He also has sung comprimario roles with companies in Sarasota, Des Moines, and Dayton, and was an Apprentice at the Santa Fe Opera. As a concert soloist, John recently appeared in Bach’s Magnificat and Mass in G Major with the Sacramento Choral Society and in Haydn’s Creation at California State University in Chico. John was privileged to sing with the acclaimed choral ensemble Chanticleer for three years and continues to perform with numerous professional choral groups in the Bay Area. A New Jersey native, John received a Master’s degree in voice at the Manhattan School of Music and graduated with honors from Princeton University with a Bachelor’s degree in English and American Studies. Before devoting himself to a performing career in music, John taught English in Guangzhou, China, and worked as a journalist for Minnesota Public Radio in St. Paul, producing programs for regional and national broadcast and using his voice in a different capacity - as newscaster, reporter and host. Shawnette Sulker will sing in "Stranger" role in the opera Qateeni. She says "I am very excited to embark on this project ". Shawnette Sulker has been described by San Francisco Chronicle’s Joshua Kosman as a singer “…displaying a bright, superbly controlled soprano with perfectly placed coloratura.” She has been a soloist with such renowned companies as the San Francisco Opera, Mark Morris Dance Group, American Bach Soloists, Union Avenue Opera, Natchez Music Festival, Mendocino Music Festival, UC Davis Symphony Orchestra, and West Bay Opera to name a few. Roles in her repertoire include Olympia (Les Contes d’Hoffmann); Adele (Die Fledermaus); Die Königin der Nacht (Die Zauberflöte); Madame Silberklang (Der Schauspieldirektor); Lauretta (Gianni Schicchi); Susanna (Le nozze di Figaro); Adina (L’elisir d’amore); Oscar (Un ballo in maschera); Musetta (La Bohème); Despina (Così fan tutte); Clara (Porgy and Bess). Upcoming engagements include singing Musetta for the Mendocino Music Festival and performing Susanna with Hawaii Opera Theatre. Mathew Edwardsen will sing in "Qateeni" role in the opera Qateeni. He will also sing in "Enkidu" role for a scene from our work in progress opera Gilgamesh. He is also "Looking forward to working on this project". Torlef Borsting will sing in "Giliana" role in the opera Qateeni. He will also sing in "Gilgamesh" role in a scene from our work in progress opera Gilgamesh. Known for his heroic color and physical stage presence, Hawaiian baritone Torlef Alika Borsting has been making quite an impact all over the San Francisco bay area. Torlef’s 2008 - 2009 season began as Baritone soloist in Hadyn’s Mass in Time of War with the Oakland Symphony Chorus and Oakland Youth Symphony, and Sharpless in his debut with Pacific Repertory Opera in San Luis Obispo, California. He then has accepted an invitation to participate in a Master Class with world famous soprano Evelyn Lear in May and continues with a new role, Horace Tabor in the Ballad of Baby Doe, with Berkeley Opera in July. Mr. Borsting’s 2007-2008 season included his creation of Wilmer McLean in the world premiere of Appomattox by Philip Glass at San Francisco Opera. He then portrayed Sgt. (Madama Butterfly) with Martinez Opera, Sharpless with Capitol Opera in Davis, California, then as Henry (The Gift of the Magi) and Melchior (Amahl and the Night Visitors) with Trinity Lyric Opera. Torlef’s 2007 summer season included his performance of A Scythian man (Iphigenie en Tauride) with San Francisco Opera and Mr. Jenks (The Tender Land) with Trinity Lyric Opera in Castro Valley, CA. The 2006-2007 complete season included Mr. Borsting’s debut with San Francisco Opera as a Soldier in The Maid of Orleans, his debut with Berkeley Opera as Jack Rance (La Fanciulla del West), as Streshniev in Khovanshchina with Kent Nagano, a concert production of Kurt Weill’s Seven Deadly Sins with Symphony Parnassus in San Francisco, Prince Yeletsky in the Queen of Spades with West Bay Opera, and the roles of the Captain and Zaretsky in North Bay Opera’s production of Eugene Onegin.